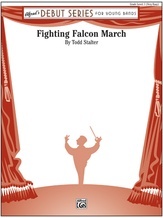 Fighting Falcon March was written for the Eureka Middle School 6th Grade Band from Eureka, Illinois. It is a simple yet tuneful and inspiring march that is ideally suited for young musicians learning to play in the march-style. 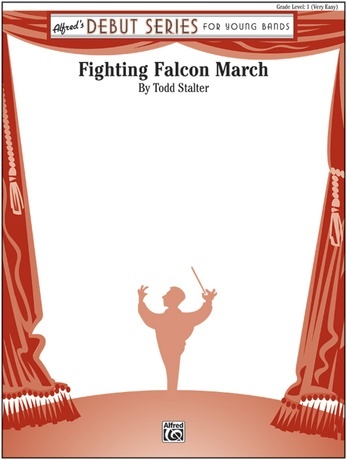 In his youth, the composer was fascinated by aircraft of all kinds, and happened to live near an Air National Guard base that hosted a squadron if F-16 "Fighting Falcons." These nimble and sleek jets could regularly be seen flying over the area, and they never ailed to stir feelings of awe and patriotism as they knifed through the air. (1:30) This title is available in SmartMusic.